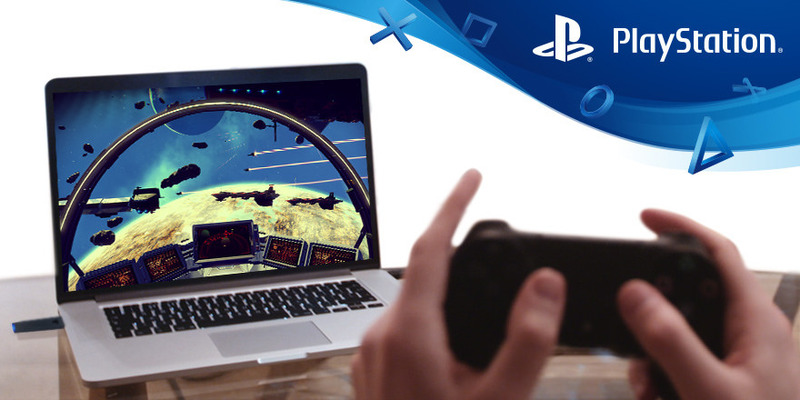 Now you can Play PlayStation Games on your Mac and PC Dualshock 4 USB Wireless Adaptor. PlayStation announced that the ,the Adaptor – available from 15th September, allows you to connect aDUALSHOCK 4 wireless controller to your Windows PC or Mac via Bluetooth. Simply insert the Adaptor into a USB port on your computer and then follow a quick pairing process to connect your controller. You can then enjoy wireless play with compatible applications – such as PlayStation 4 (PS4) Remote Play, with access to all the same great DUALSHOCK 4 features and functionality*: buttons, analogue sticks, touch pad, light bar, motion sensors, vibration, and stereo headset jack. You can then start streaming your PS4 games to a PC or Mac – so you can keep on playing, even when you’re away from the TV. PlayStation blog added that, you may also be able to use the Adaptor and DUALSHOCK 4 wireless controller with some Windows PC/Mac games, but they cannot guarantee compatibility.